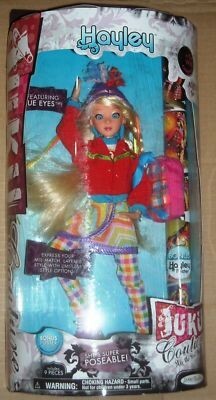 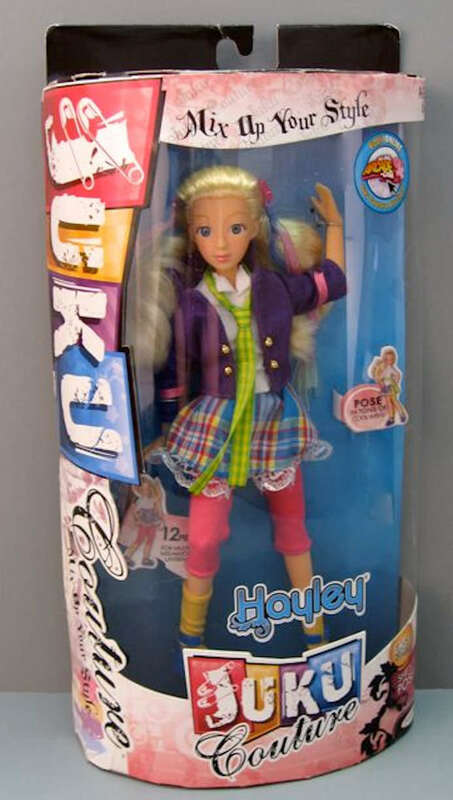 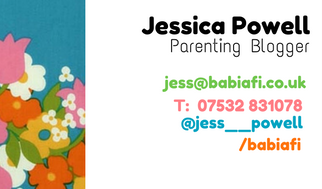 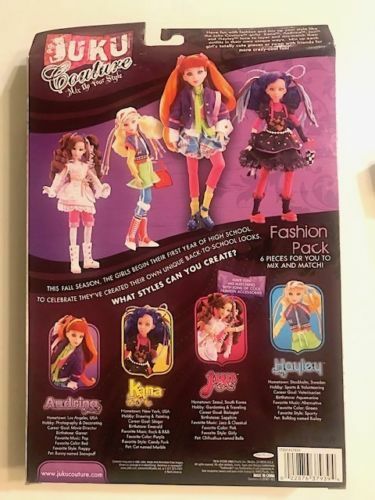 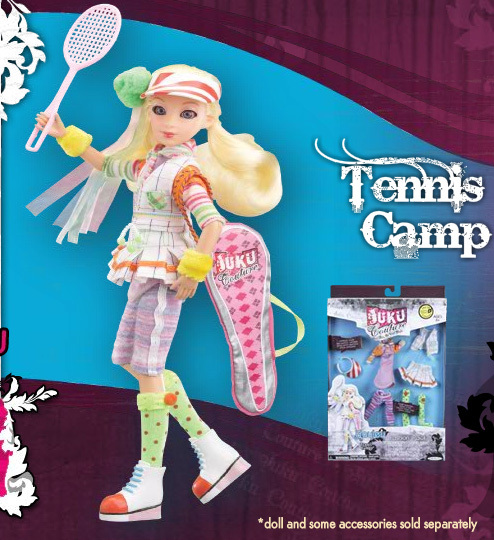 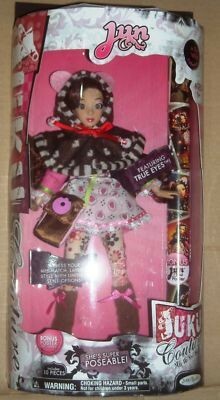 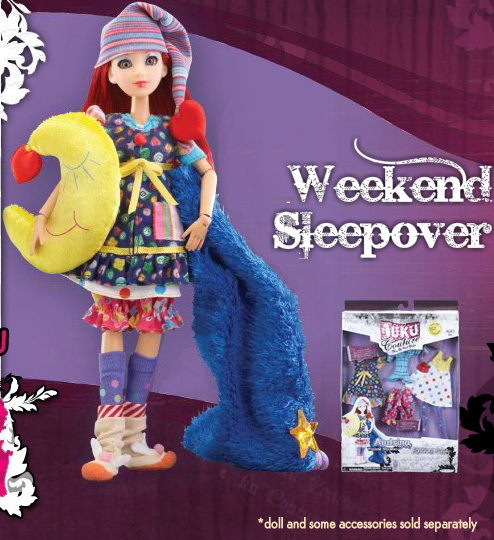 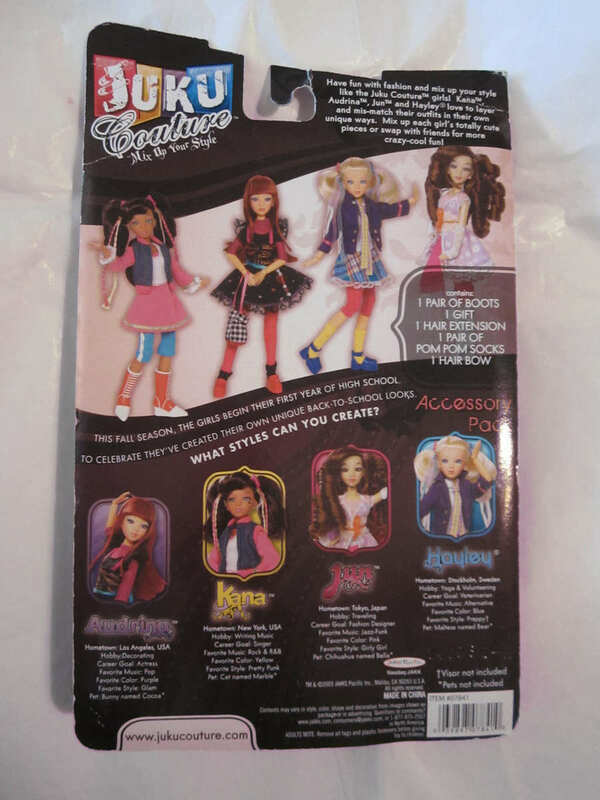 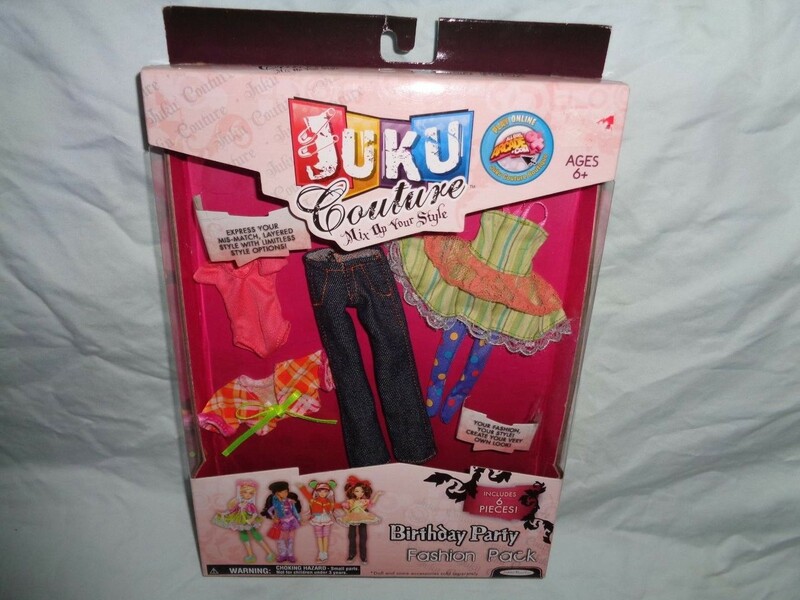 Jakks Pacific launched this fashion doll in 2008. 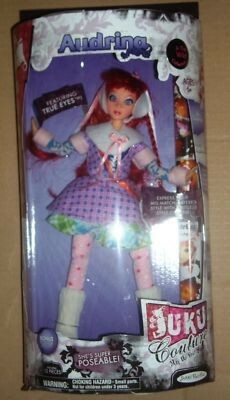 The dolls stood 9 inches tall, and boasted full articulation, flat feet, and inset acrylic eyes. 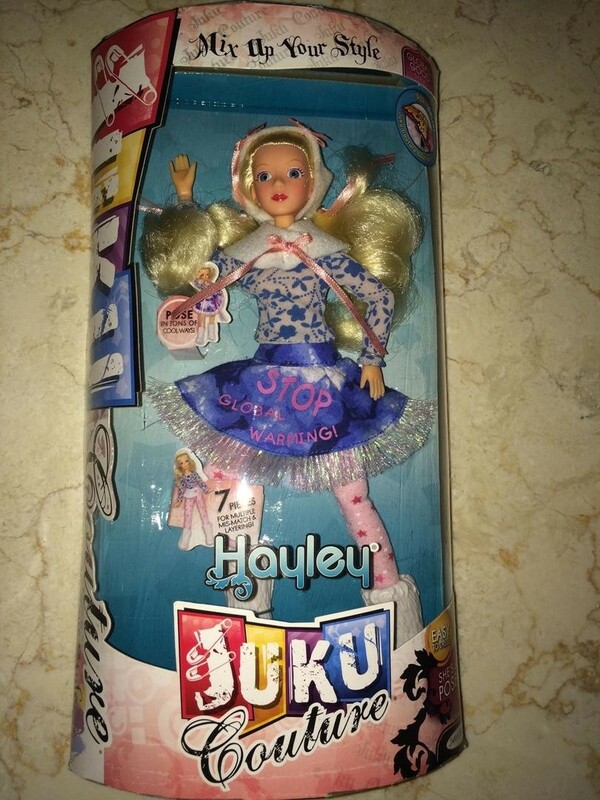 Although a neat idea, by 2009 Jakks had downgraded the dolls' quality and it was no surprise that they were discontinued before the year was out. 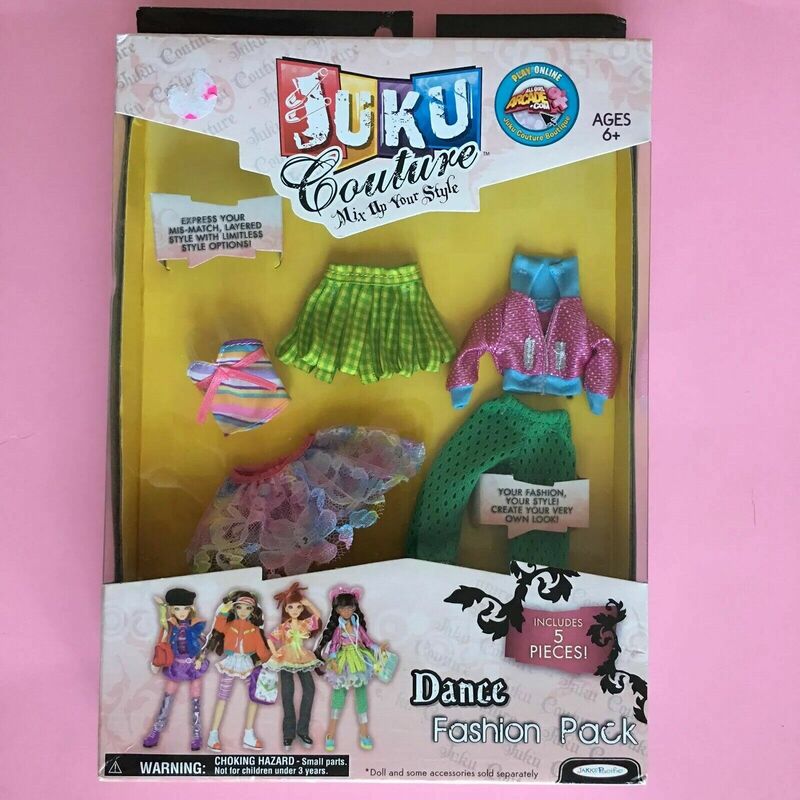 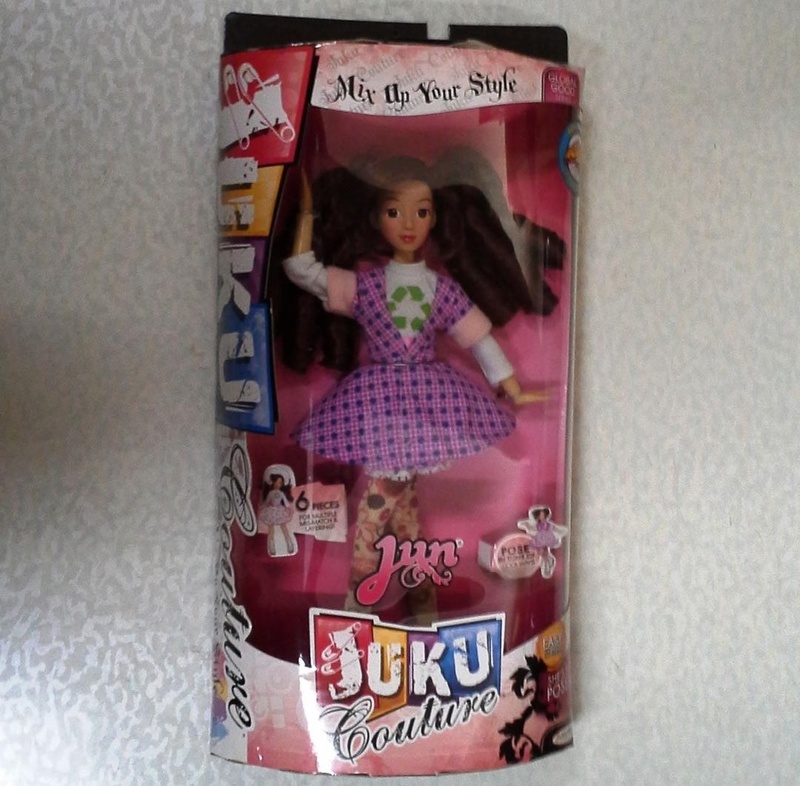 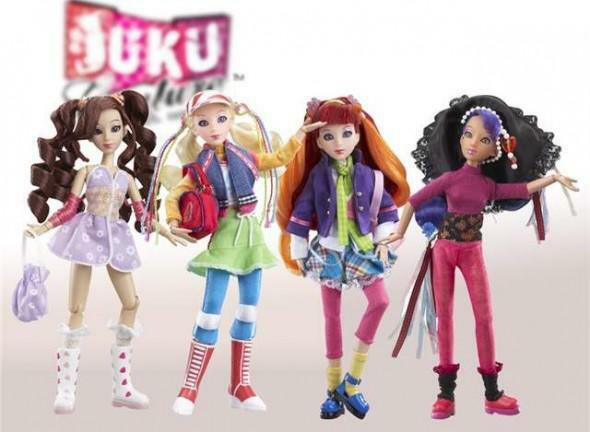 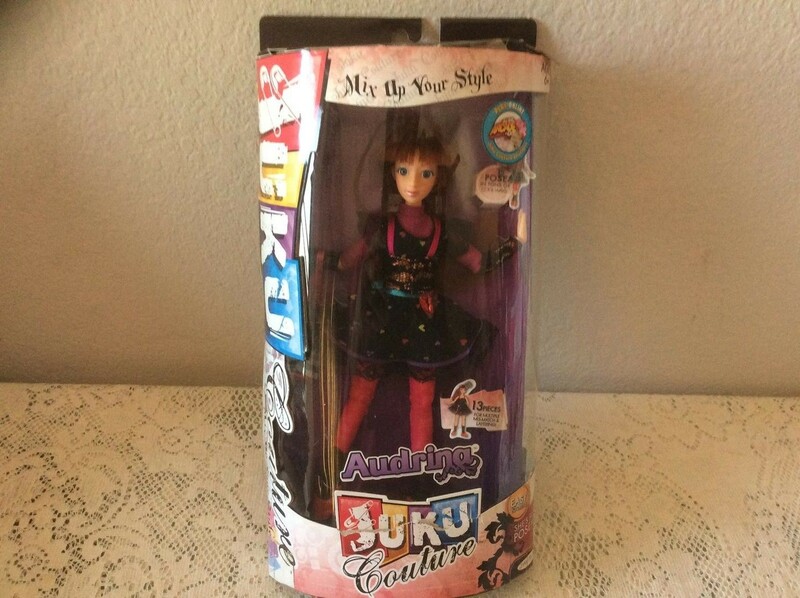 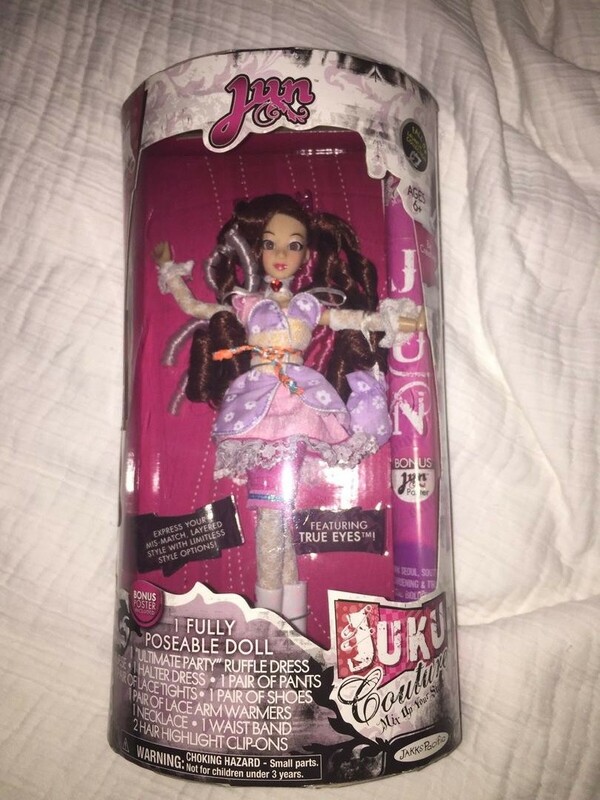 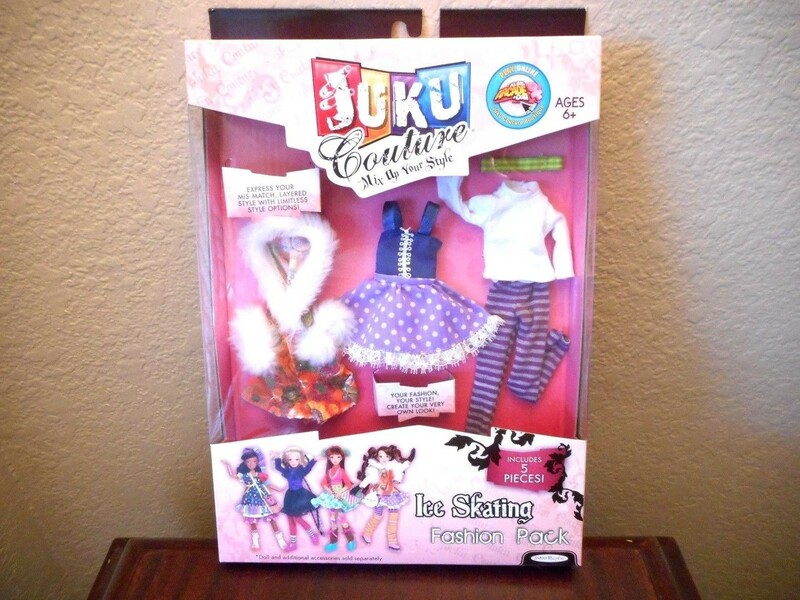 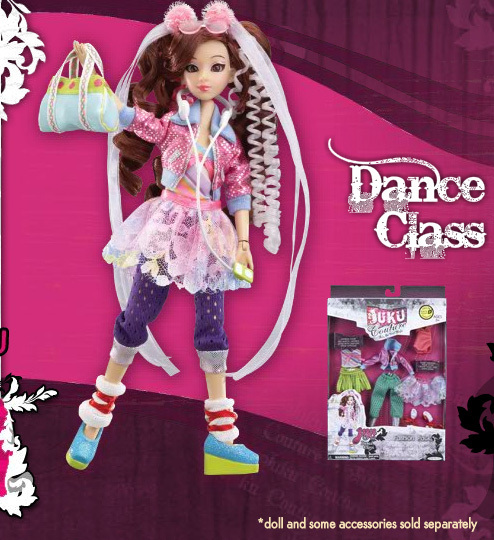 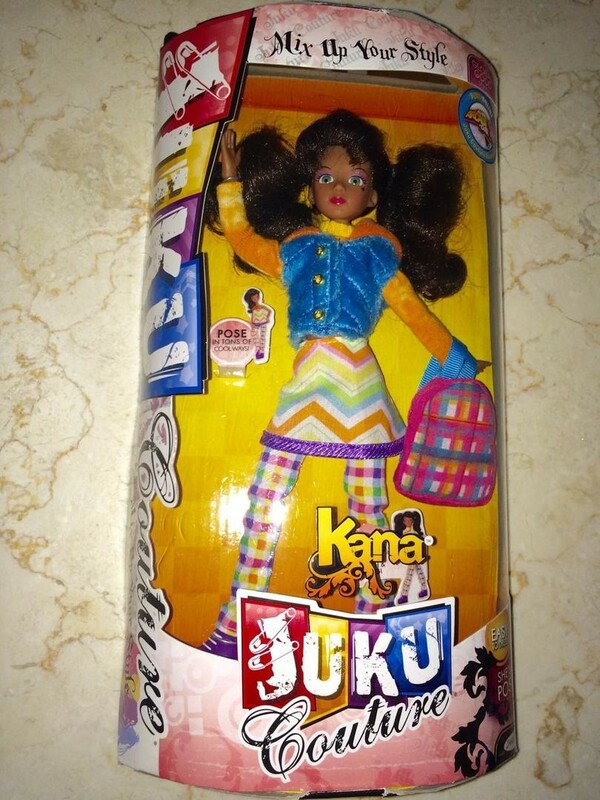 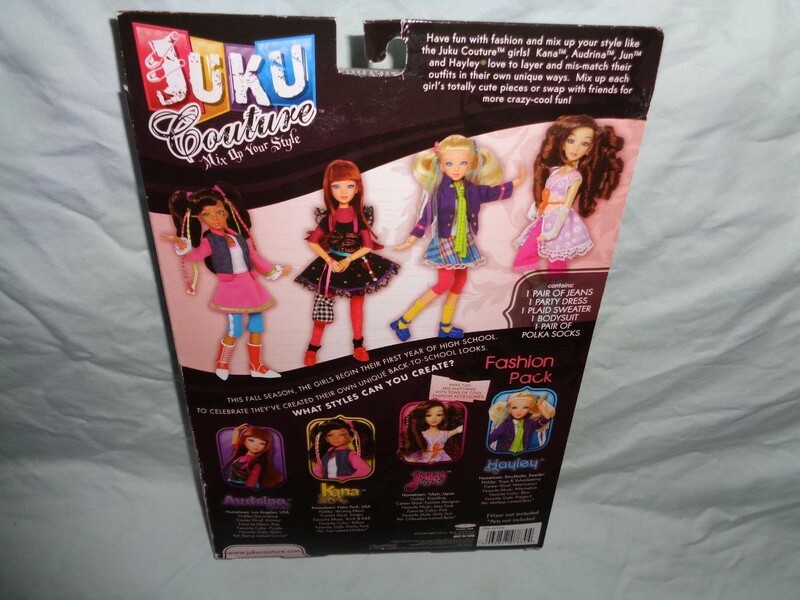 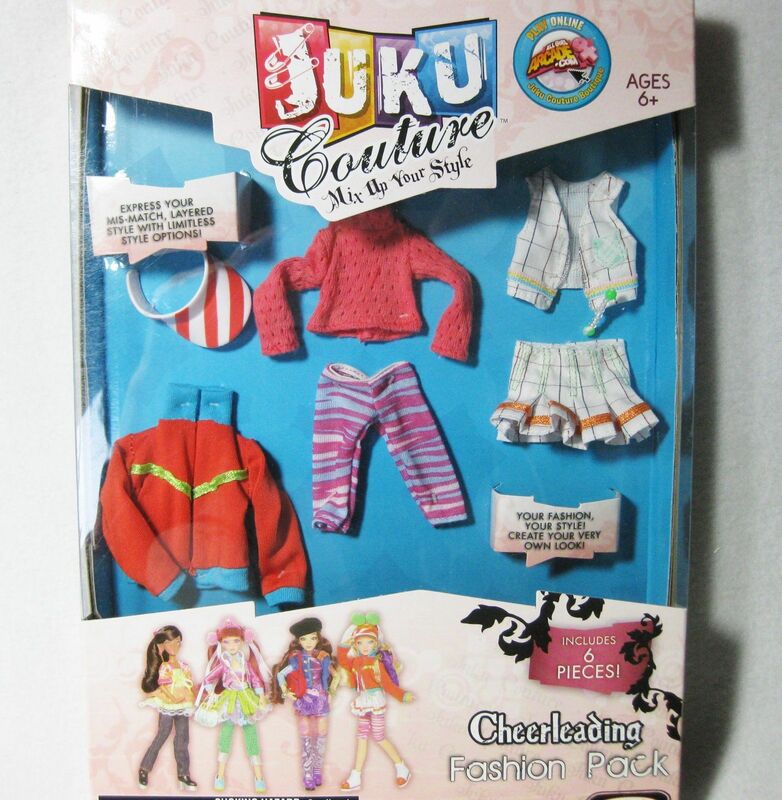 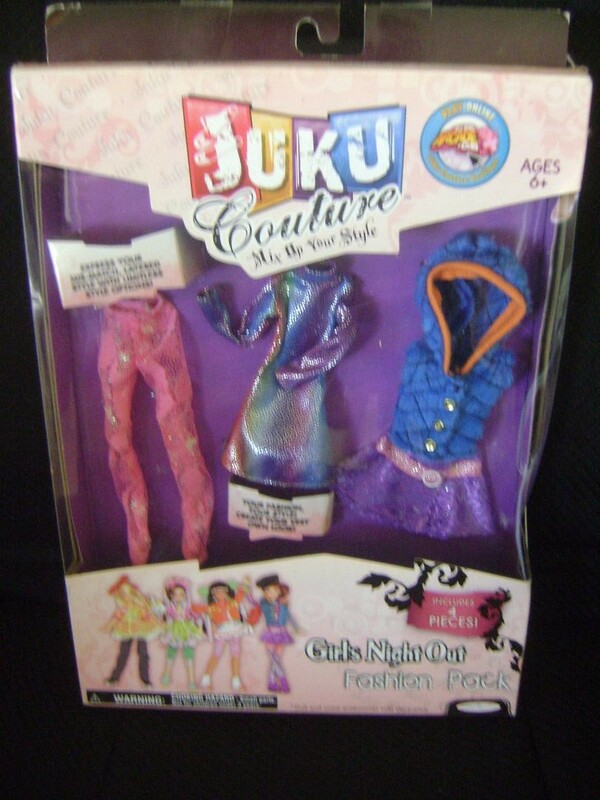 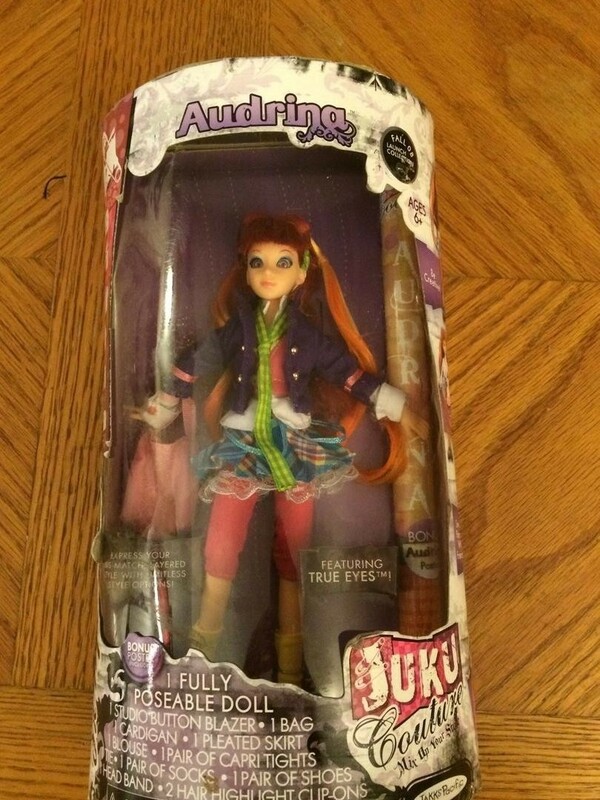 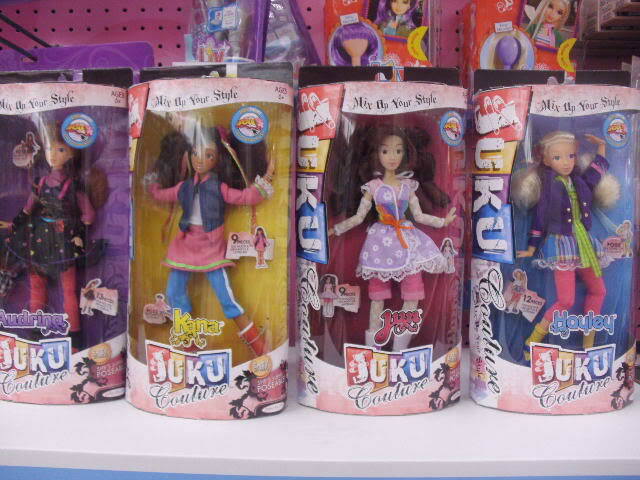 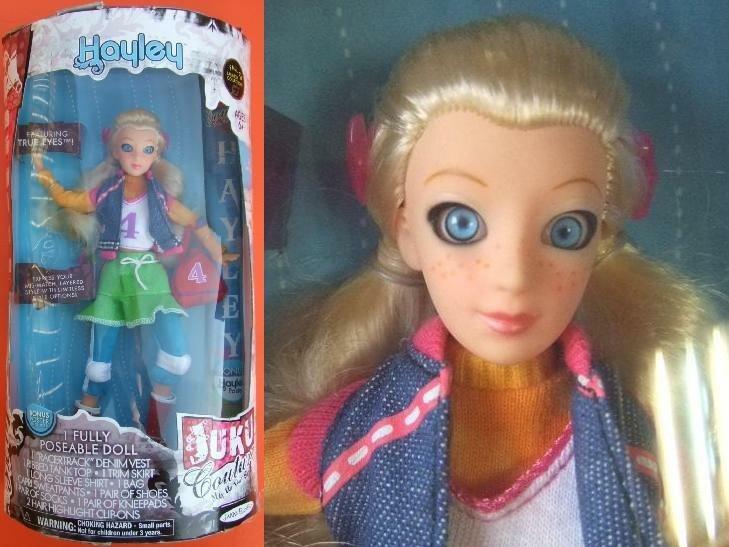 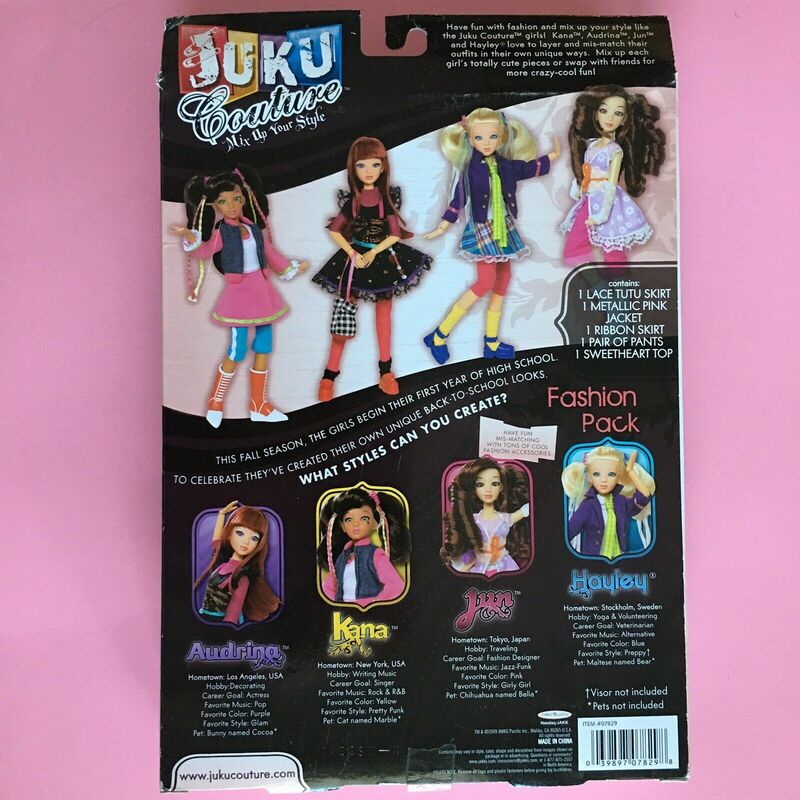 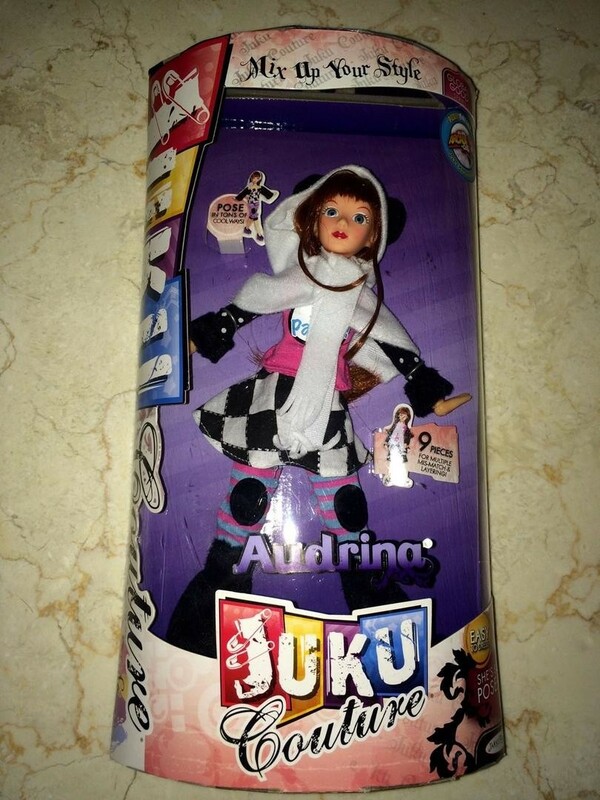 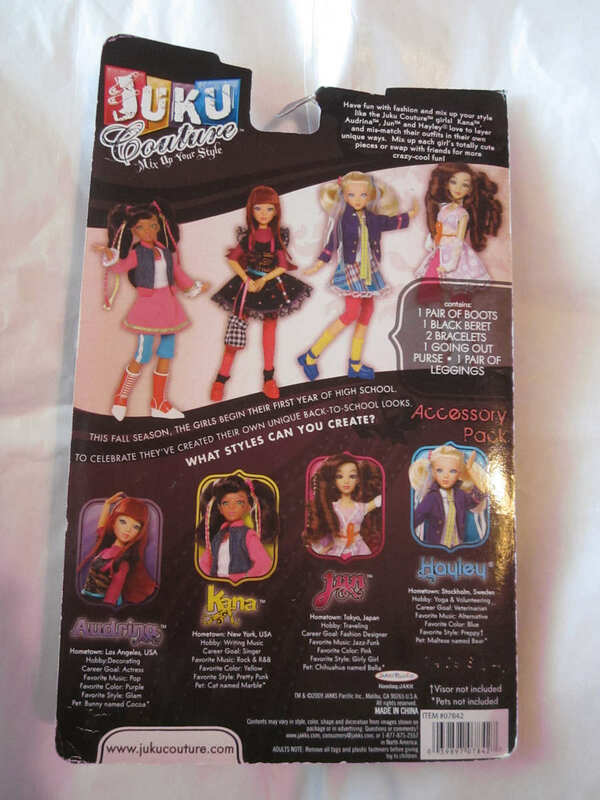 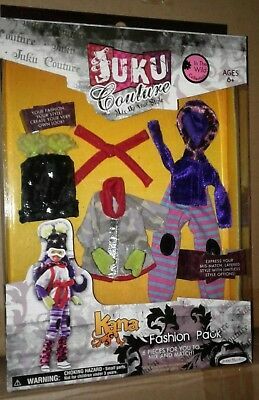 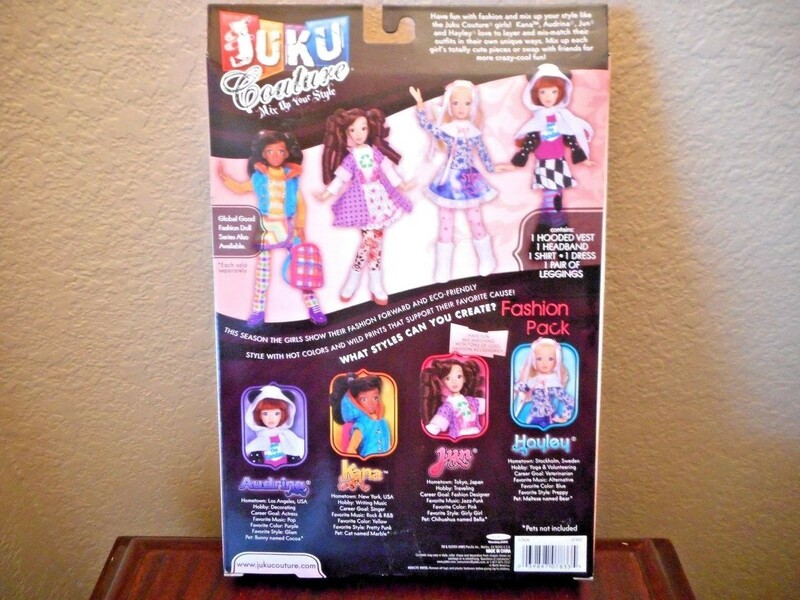 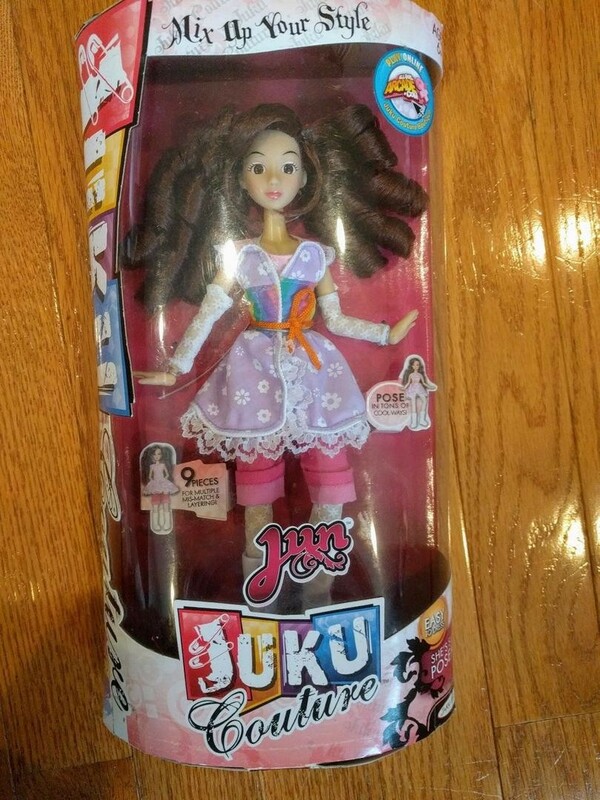 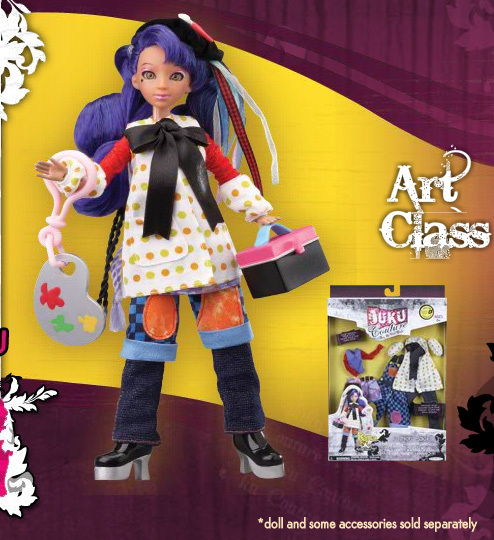 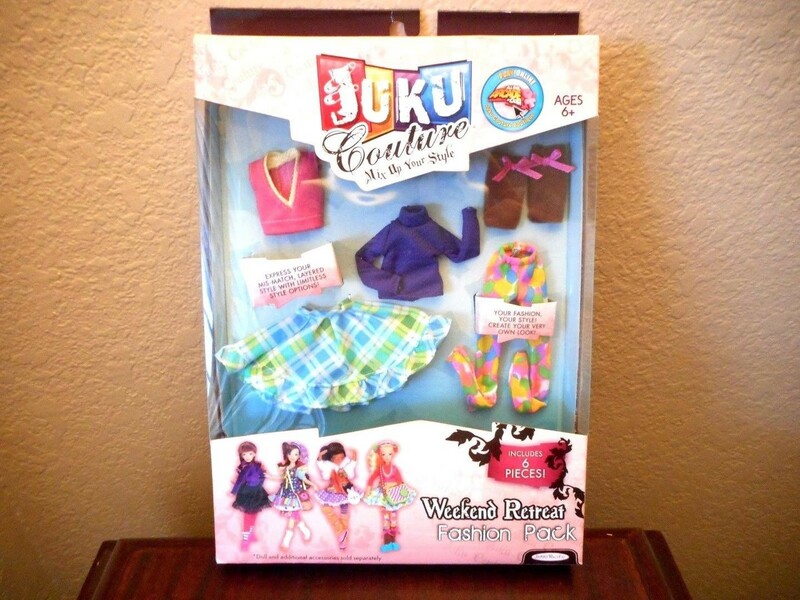 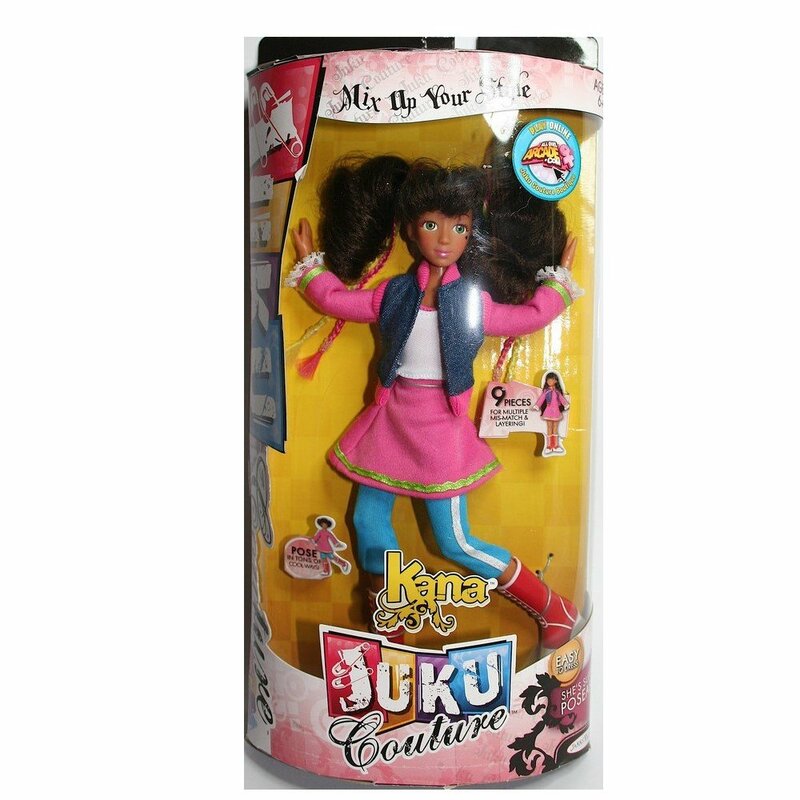 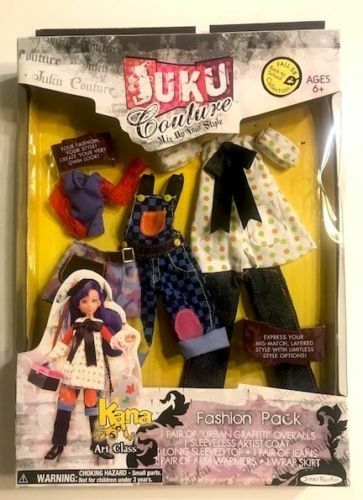 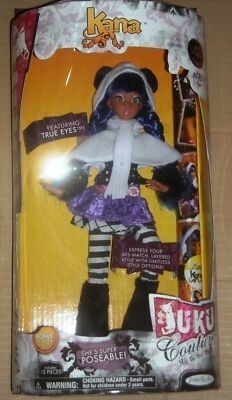 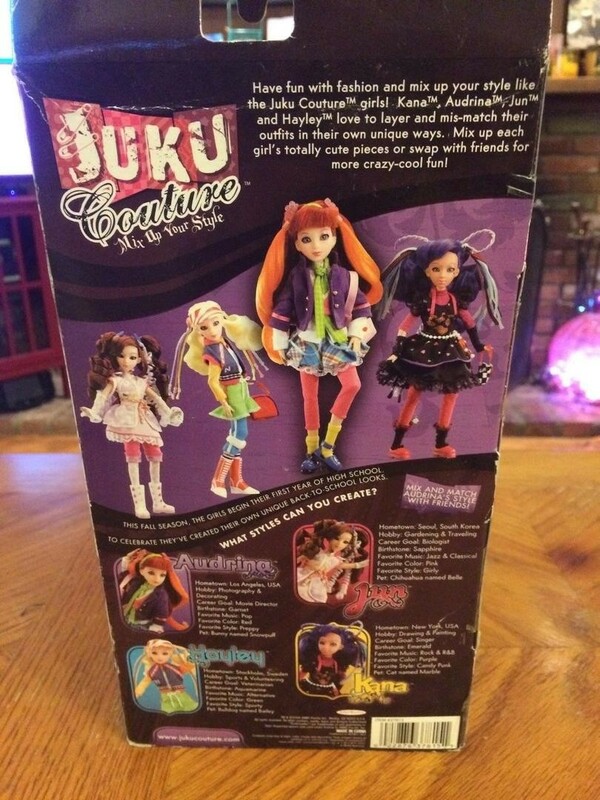 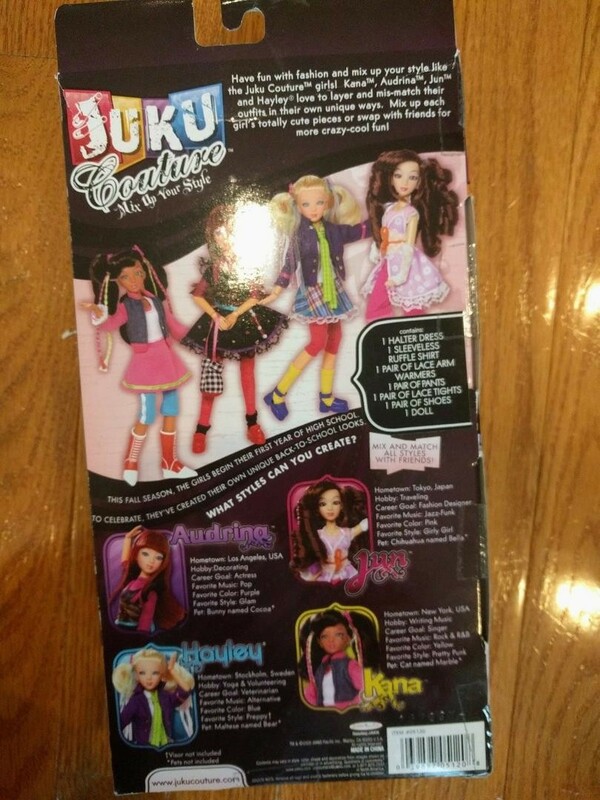 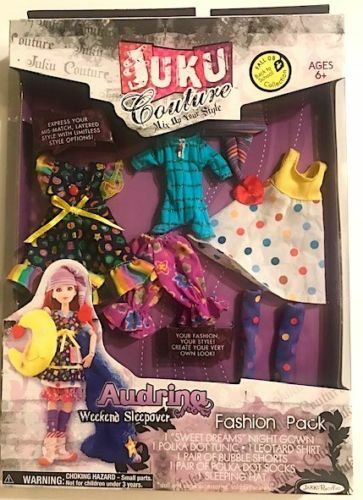 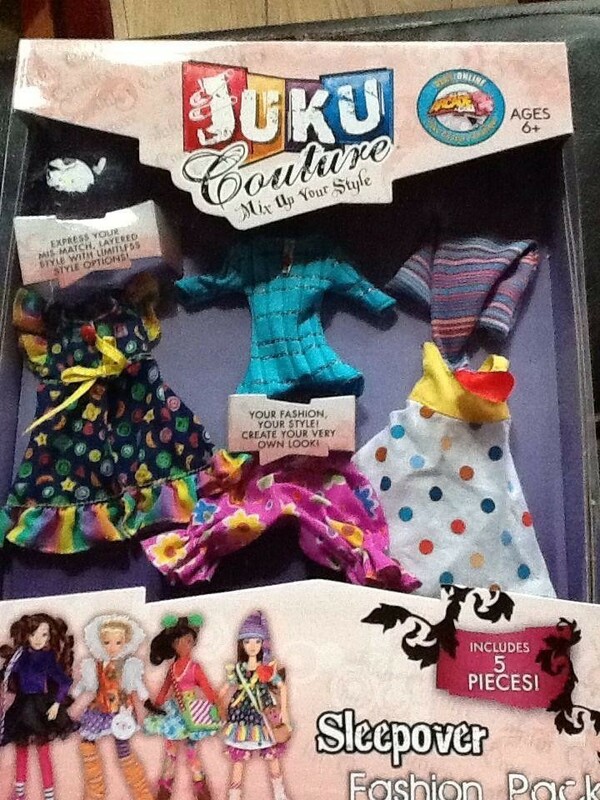 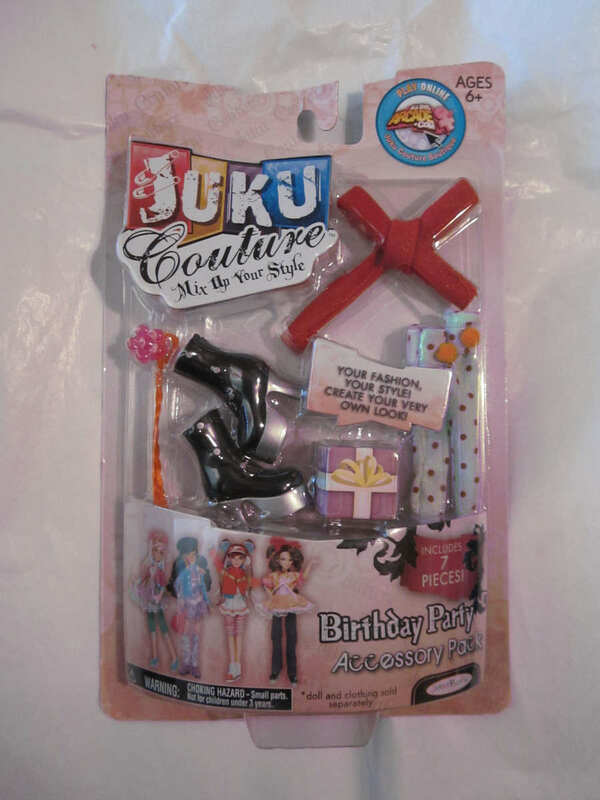 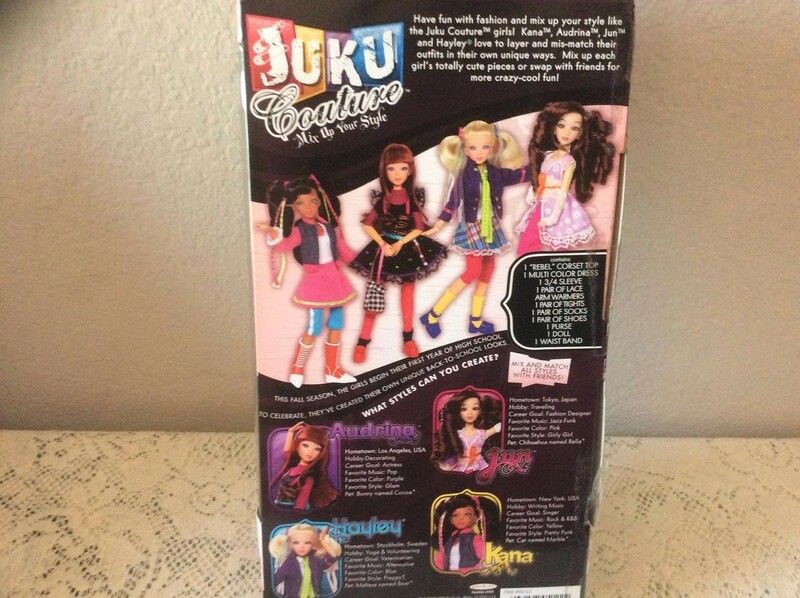 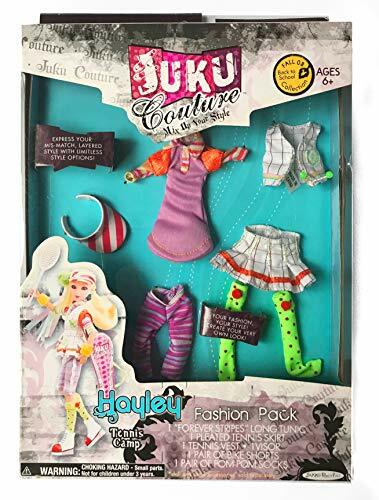 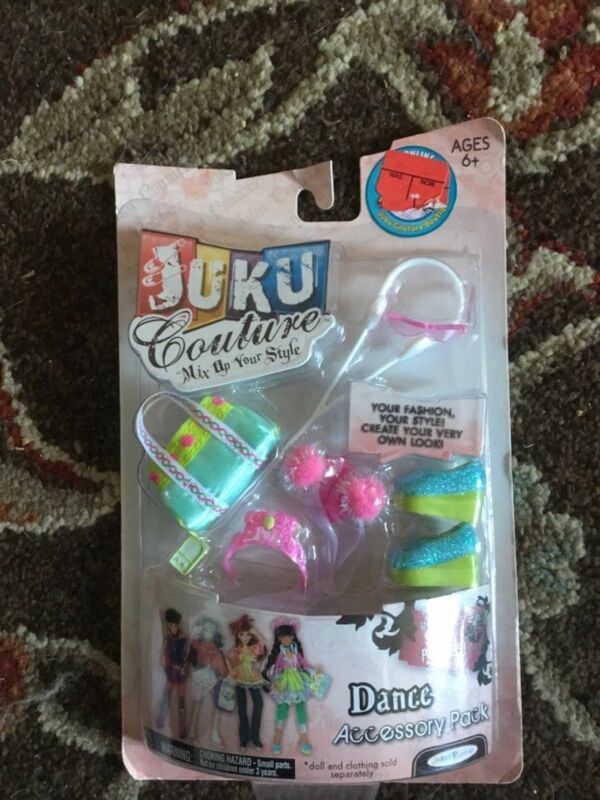 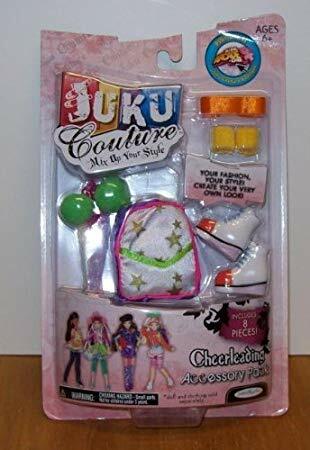 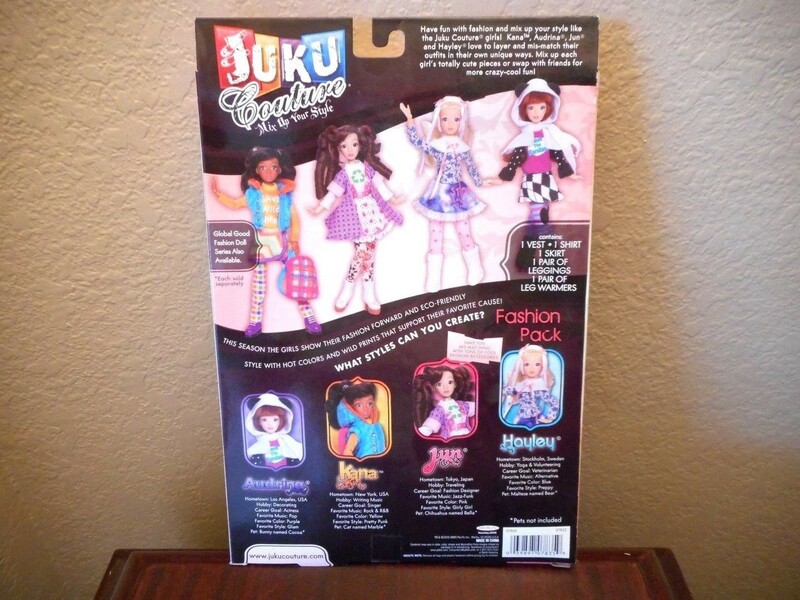 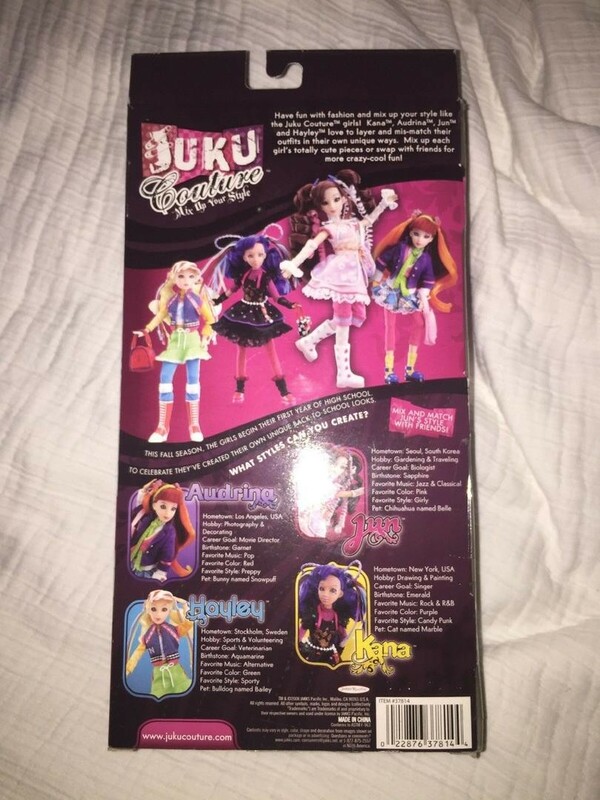 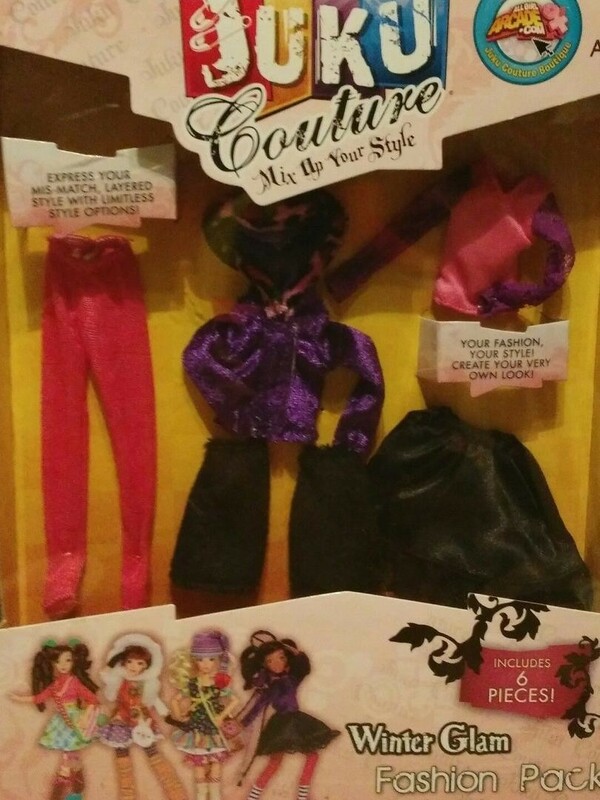 Definitely the rarest of the Juku Couture dolls, they seem to have only had a limited release. 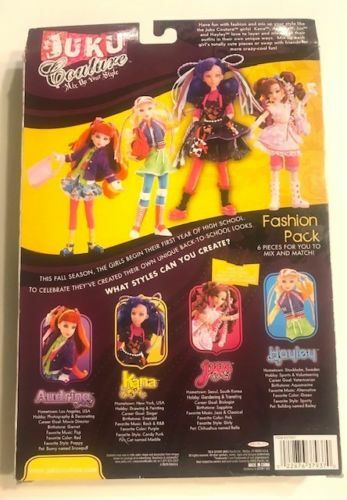 There was also a set of four In the Wild fashion packs for this wave. 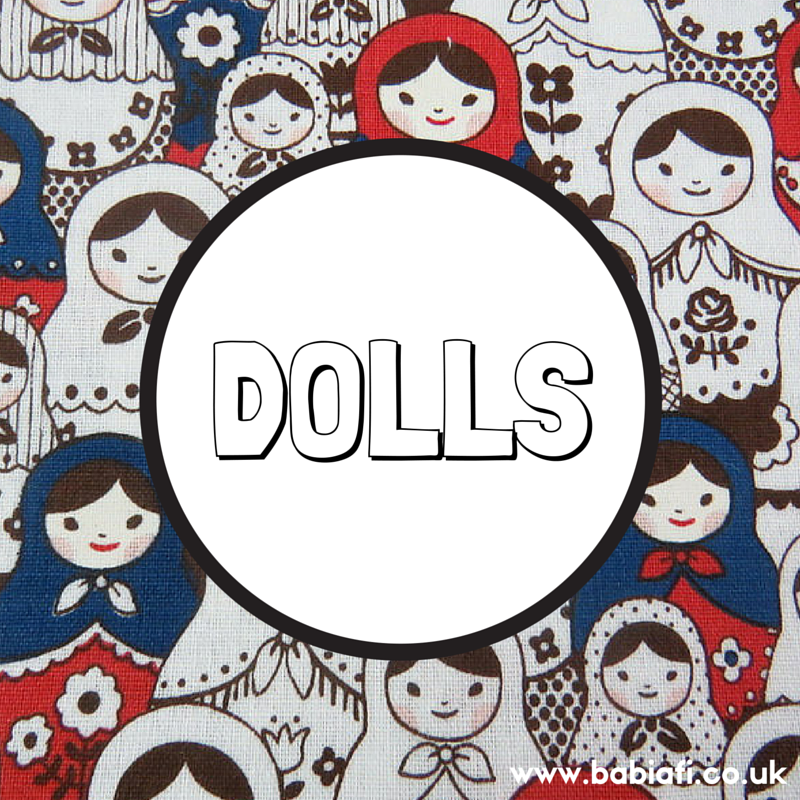 2009 saw a re-release of the original dolls. 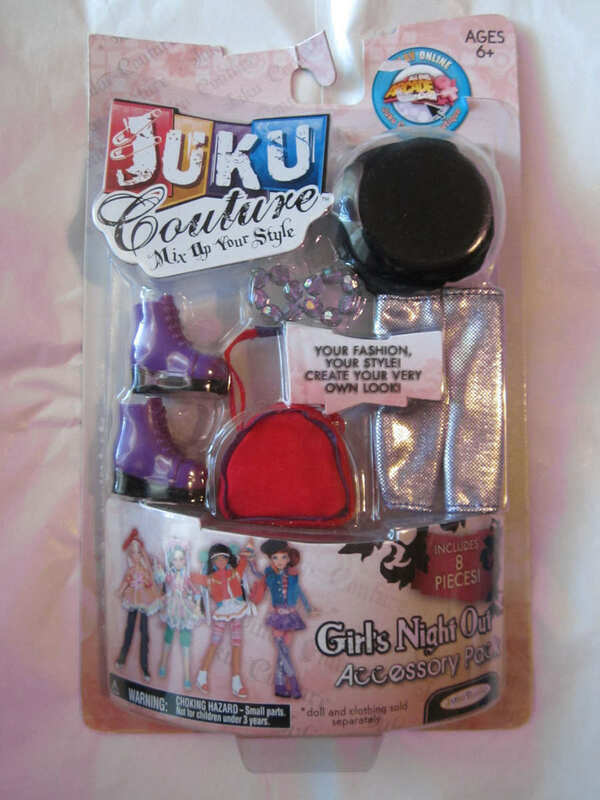 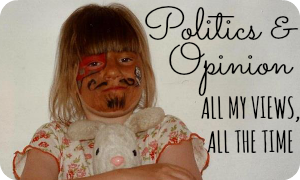 Except not quite, because some of the girls had seemed to swap both personalities and outfits. 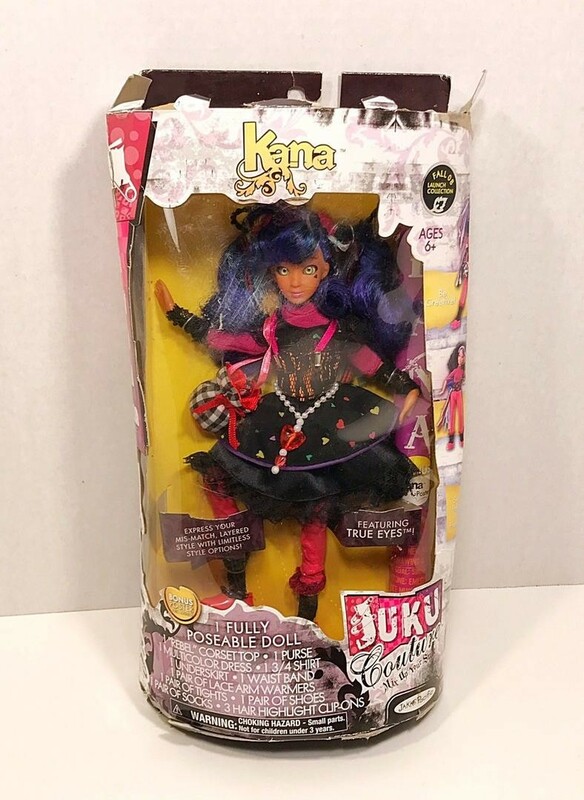 Their hair, face paint and eye type were also changed, and the general perception was that this wave was lower quality than their 2008 counterparts. 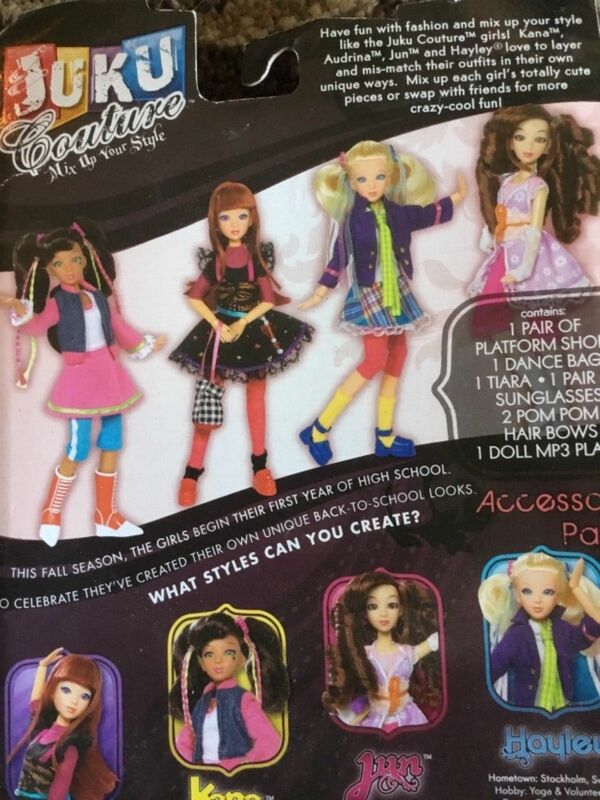 Again, this was essentially a re-release of the In the Wild line with switches to different dolls, plus mixing and matching of pieces. 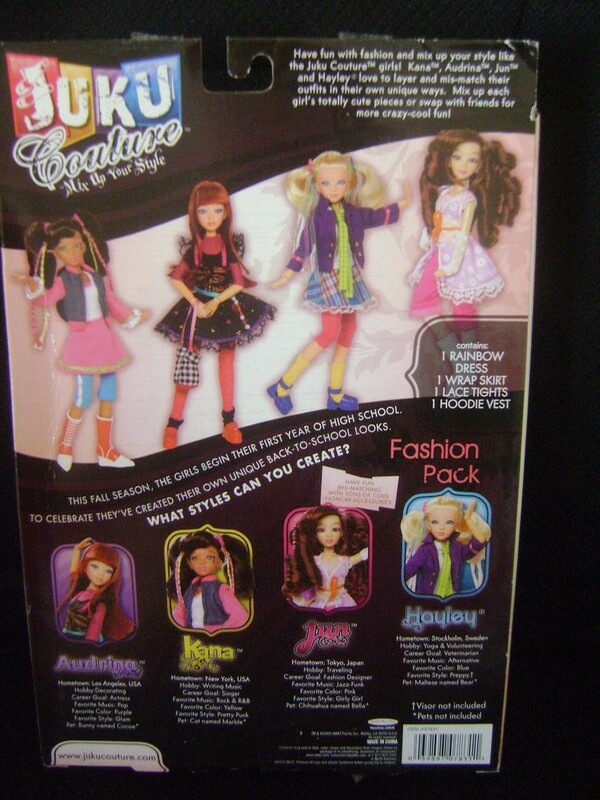 ★ Winter Glam Fashion Pack. 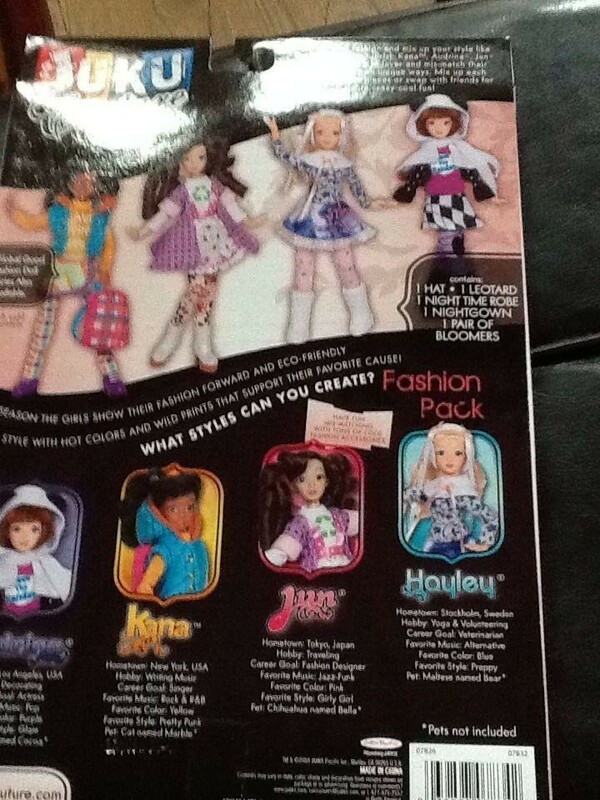 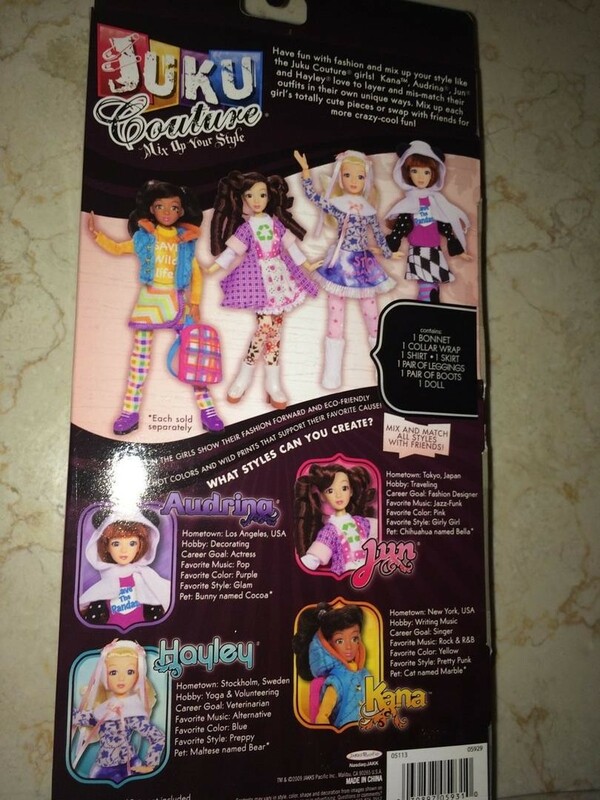 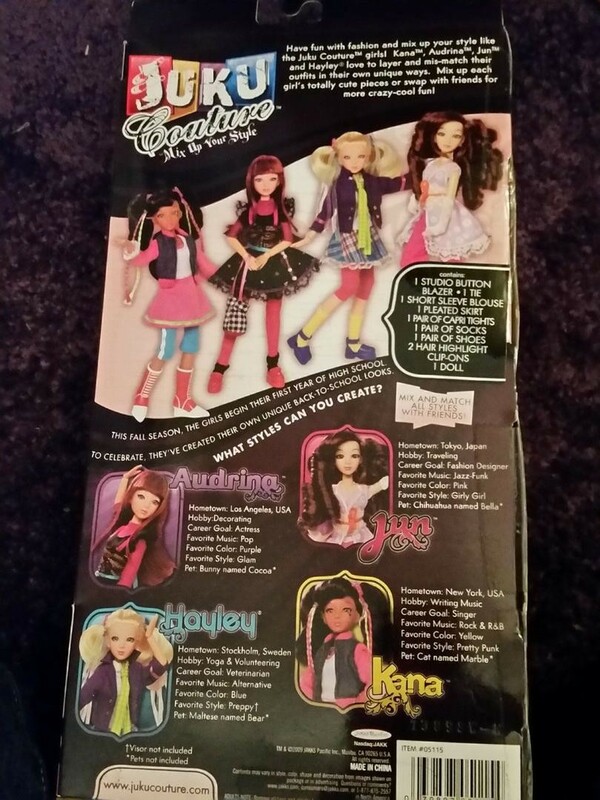 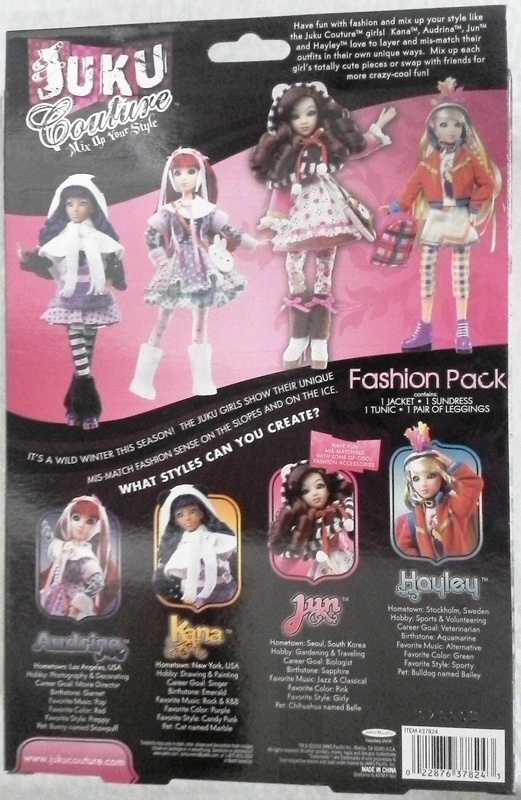 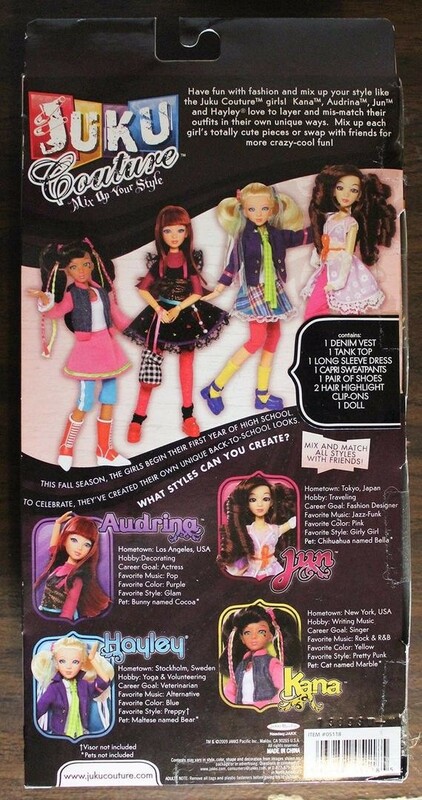 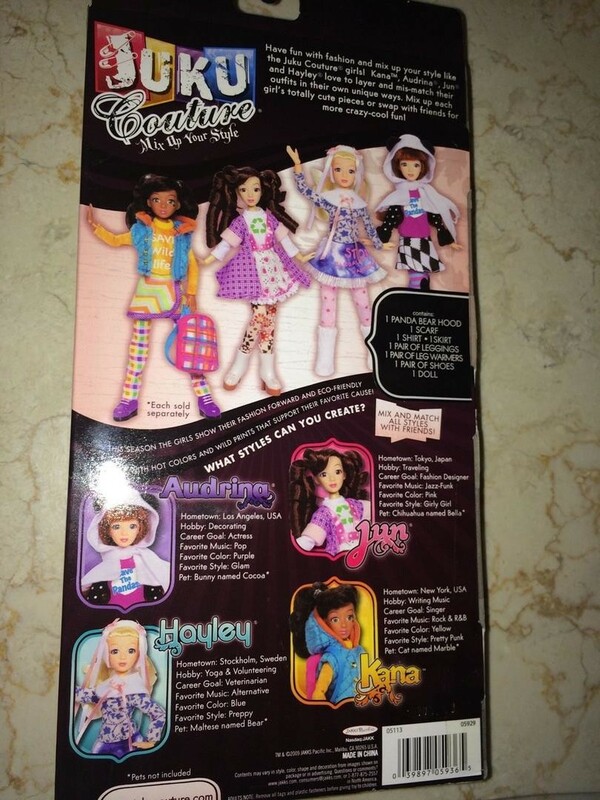 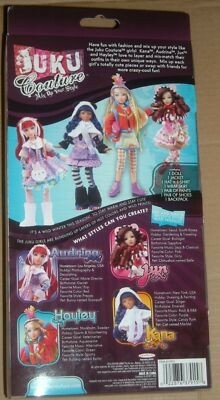 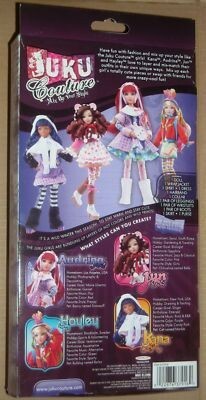 Like the rest of the 2009 line, these are mostly repackaged pieces from earlier dolls and fashion packs.